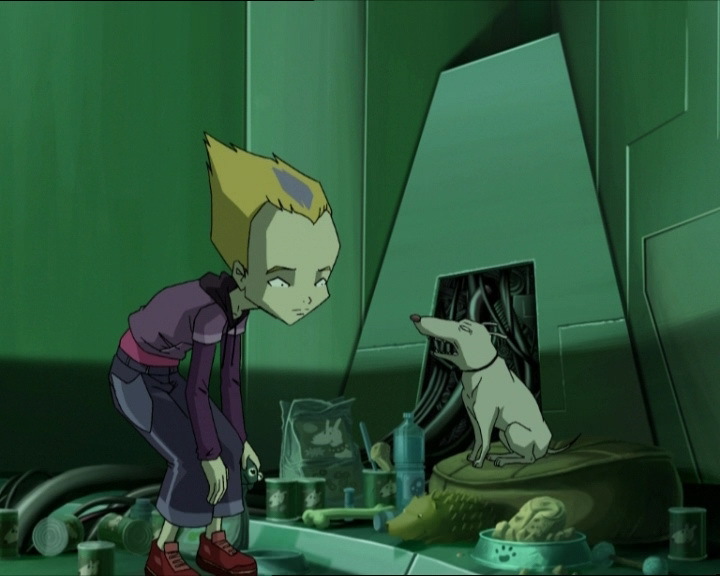 The rest of the gang of Lyoko Warriors has had it up to their ears with Odd’s dog, Kiwi. The pup is apparently only good for destroying or fouling other people’s belongings. Despite Odd’s protests, they reach a common decision to banish the dog for several days in the factory… Meanwhile, as Yumi and Ulrich are at their Penchak Silat class, Xana takes possession of the “other” Kiwi: Kiwi2, … Jeremy’s robot dog, now programmed to attack! The heroes are already on the network when the episode starts, on a Replika mission! The Navskid engines whir in the midst of Sharks in the Digital Sea, particularly Yumi’s engine, as she’s being chased by William! Odd goes to help her, suddenly cutting William off and allowing Yumi to get back to the Skid! She’s followed by a Shark, but Ulrich gets rid of it with a torpedo! The mission is then interrupted by Jeremy, who orders his friends to come back in! They’ve lost too much energy to even think about reaching the Replika and XANA doesn’t seem to be finished with harassing them! 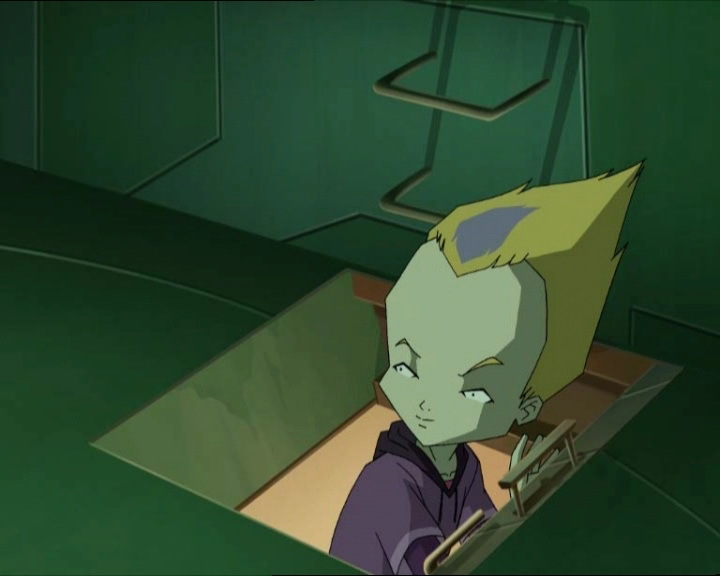 Aelita launches torpedoes from the Skid to destroy the last Shark, then she calls the Navskids back in and sets off for Lyoko! 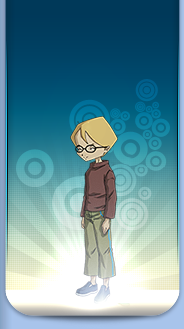 In the lab, the Lyoko Warriors find Jeremy ruminating. Odd relaxes the atmosphere a little by imitating the brainiac. Far from appreciating Odd’s talents, Jeremy proposes they go to bed, and Yumi agrees! Back at school, Ulrich deplores the destruction of his bed… He doesn’t need to search for the culprit, it’s Kiwi! The next day, a “court case” is held by the heroes against the dog, much to Odd’s disdain! The penalty is decided: Kiwi will stay in the lab for a fortnight! Odd begs but gives up, bringing Kiwi and his various toys to the lab! At the moment when the teen returns to the lift and wishes his pet good luck, the Superscan sounds, signalling an activated tower! Odd has already left and doesn’t realise! As soon as he climbs out of the sewers, Jeremy calls to warn him about the attack and he returns to the factory right away to await Jeremy and Aelita! Ulrich and Yumi are in the gym, ready for a pencak silat class held by Jim. Their company isn’t the most pleasant however: Sissi, Johnny and Hiroki! Milly and Tamiya then turn up to write an article for their newspaper! While Ulrich and Yumi are asked to do demonstrations of advanced pencak silat moves, Sissi fights ridiculously with Johnny, while Jim makes comments, which are always as developed as a monologue with examples from his past life! But XANA’s attack reveals itself; the virus takes control of Kiwi 2, Jeremy’s robot dog, constructed for a robot competition. End apparently one robot dog won’t do, as it multiples into a complete army and grows sharp teeth! Faced with the phenomenon of pixelised multiplication, Ulrich and Yumi return to take cover in the gym with their pencak silat class! One of the mechanical Kiwis gets into the room before the door is closed! It is rapidly destroyed, but not before it can attack Johnny and Milly, showing that the mechanical pooches should not be underestimated! The two lovers then decide to go via the boiler room, but they must first deal with Jim and his many questions. After roughly explaining their situation, they ask him to create a diversion so they have a chance to get to the factory! Encouraged by Sissi and Hiroki, Jim accepts. Meanwhile, Jeremy and Aelita arrive at the factory and bring Odd up to date on the situation! Jeremy became aware of the nature of the XANA attack thanks to a phone call from Ulrich! 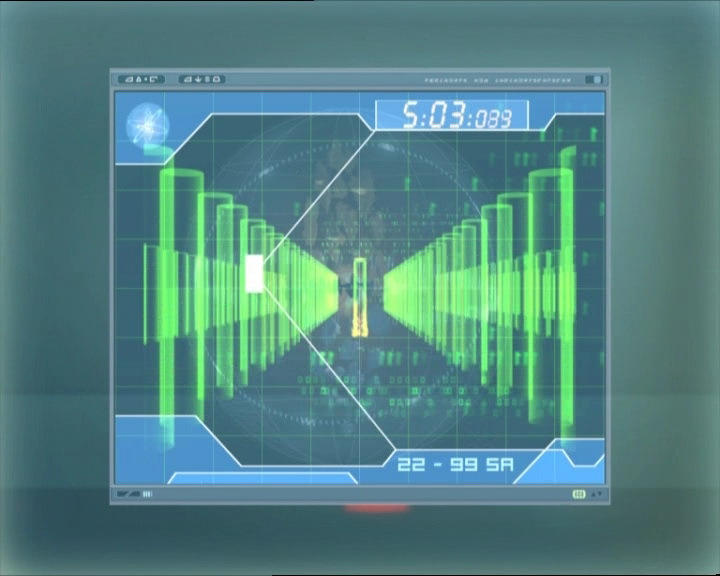 Not wasting time, he sends Aelita and Odd to the scanner room, then to the Desert Sector! It seems very calm! Hiding in the locker room, Jim and his group of students position and arm themselves with various sporting equipment: basketballs and a cheerleading baton, then let XANA’s army of pooches into the room and welcome them violently! However, the dogs quickly understand that Yumi and Ulrich have gone into the boiler room via the ventilation shaft and set off on their heels! 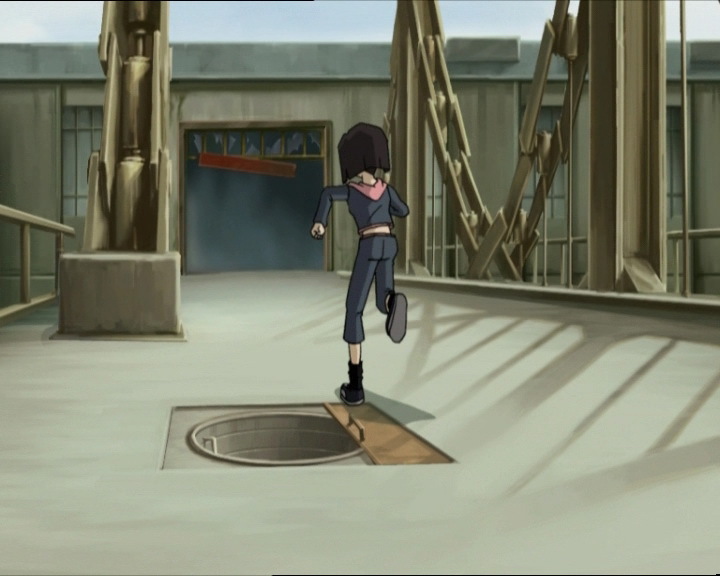 Ulrich decides to stay to confront them, allowing Yumi to get to the sewers… However, the dogs appear to be everywhere, as the Japanese girl runs into another two in the sewers! She tries to escape them on her skateboard! 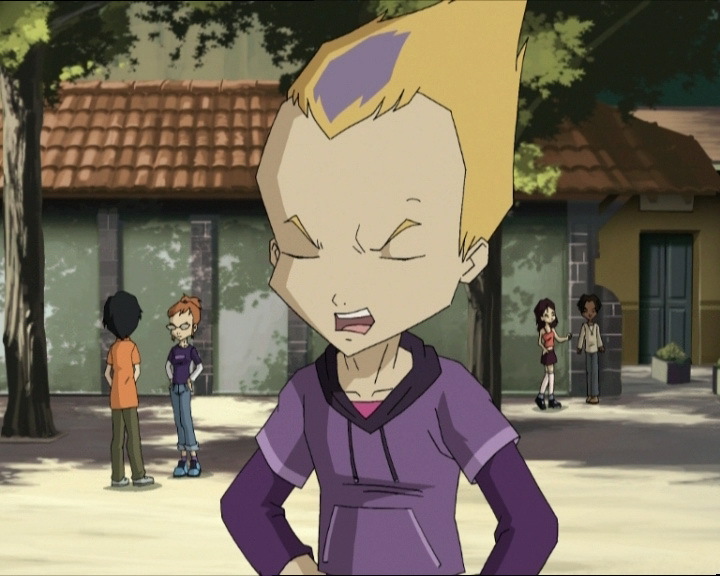 On Lyoko, Aelita’s Overwing is violently hit by an energy wave from William! Odd defends his sister in arms by opening fire on the XANA Warrior, who comes out unscathed, largely protected by his blade! He calls his Manta for support! Two against two, the combat seems to have just begun! William sends an energy wave at Aelita! Odd quickly sacrifices his Overboard to stop the devastating burst! In his fall, he destroys William’s Manta with a laser arrow! While the two Lyokonauts pick themselves up from their falls and charge at each other, Aelita deploys her wings and hurries to the tower…where Tarantulas are waiting for her! In the boiler room, Ulrich is in a bad way, covered with bites! Fleeing his multiple adversaries, he finds refuge in the locker room with Jim. Yumi has more luck because by skilfully using the staircases in the sewers and her skateboard, she destroys the two Kiwi 2 clones on her heels! Unfortunately, as she crosses the factory bridge, she comes across more and more XANAfied pooches! 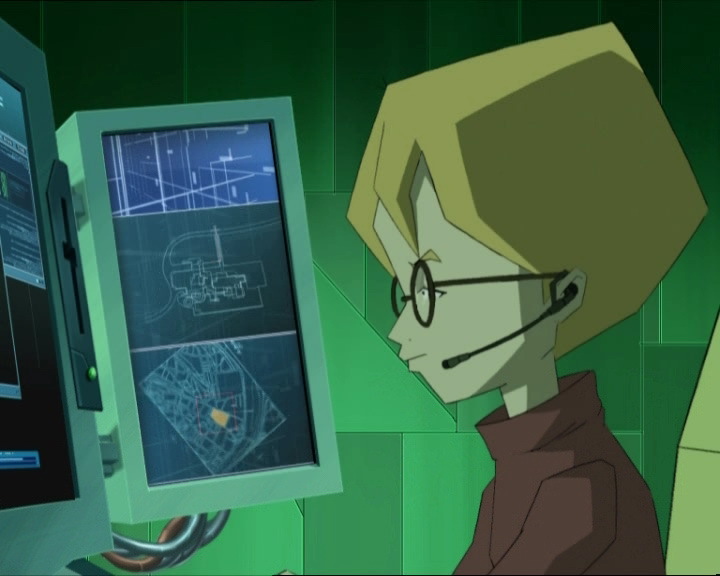 On Lyoko, a Tarantula’s laser strikes Aelita, who barely misses falling into the Digital Sea! She regains altitude and lands! 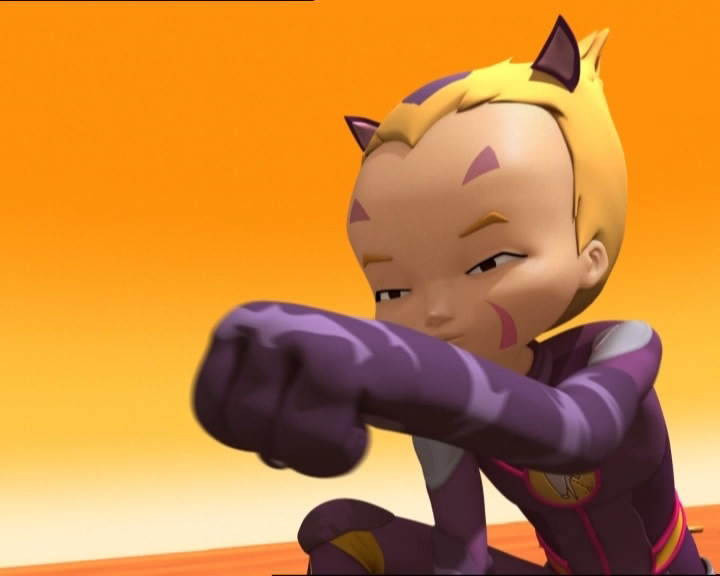 William seizes the opportunity: he leaves the catboy to fight with the Tarantulas and hurries to Aelita as Supersmoke! The girl wards him off with energy fields, while Odd confronts his arachnid enemies! He destroys one and realises that he has no more arrows left! Naturally, he asks the Supercomputer operator to recharge him! Jeremy is distracted: the lift opens and inside, he finds Yumi in terrible condition! In her final attempt to reach the lab, she activated the lift, but two mechanical dogs managed to get into the cabin with her and attack her while the lift went underground! Yumi out of action, XANA’s puppets immediately converge on Jeremy, who must abandon the controls! Kiwi, excited by all the ruckus, jumps on the computer keyboard and reloads Odd’s arrows by chance, allowing his owner to destroy the last Tarantula! The Desert clean of XANA’s monsters, Odd heads towards William! The XANA Warrior, still battling it out with Aelita, is throwing energy waves that she either blocks with energy fields, or dodges! 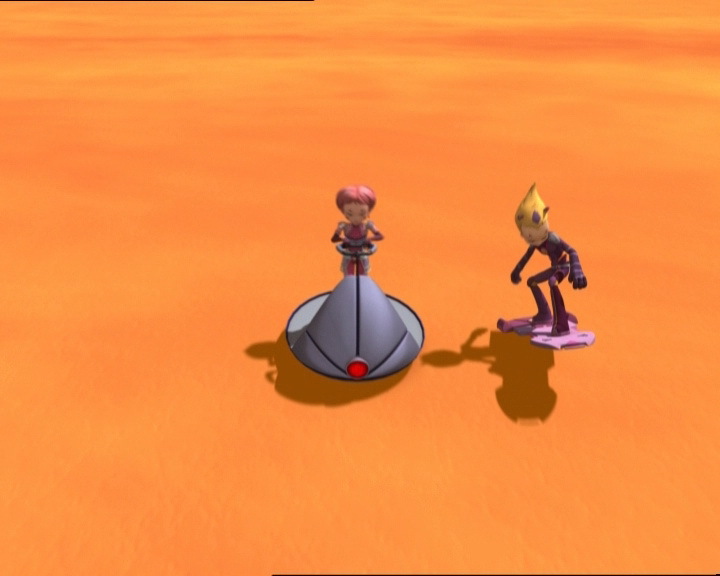 When he sees Odd heading towards him, the XANA Warrior skilfully dodges an energy field thrown by the pink-haired Lyoko Warrior! It’s Odd who receives the attack and is devirtualised! 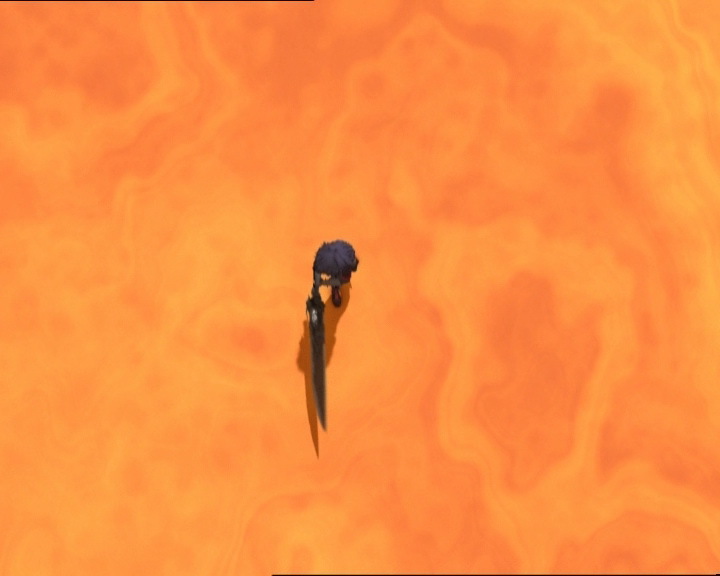 Aelita soon leaves her hiding place, and William hits her with an energy wave and traps her in smoke! Approaching the edge of the platform, he throws her into the Digital Sea! Then he waits for Franz Hopper to appear (see episode 82 for more explanation), focusing attentively on the Sea! Aelita then reappears behind him, just beside the tower! The thing she created was none other than a ruse designed to clear the path! Powerless, William can only watch as Aelita enters and deactivates the tower! The doubles of Kiwi 2 evaporate in the lab, allowing Jeremy to launch a Return to the Past! Back in time, Jeremy complements Aelita’s brilliant idea! Odd also claims a share of the praise for Kiwi: he recharged his laser arrows and allowed him to distract William (yeah…)! The heroes then forgive Kiwi and Ulrich (distracted while looking at Yumi) allows him to stay in their room again! - Attack: Take control of Kiwi 2, giving it the ability to multiply itself! - Jim makes another allusion (along with episode 74 “I'd Rather Not Talk About It”) to his days in the jungle in Burma! 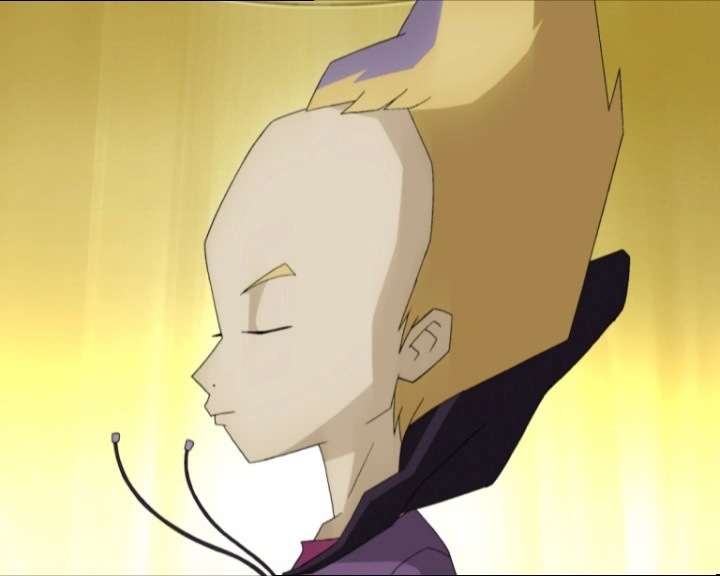 Also, a Burmese master taught him pencak silat and the philosophy that “serenity is vital in order to stay calm” and he found out about Lyoko, XANA and the factory for the seventh time. - The door to Odd and Ulrich's room is brown instead of grey towards the end of the episode. - The factory microphone cord appears at the moment when Jeremy picks it up, then it disappears. - The red door to the boiler room opens towards the inside instead of the outside when Yumi opens it. - When Yumi and Ulrich's Navskids attach to the Skid, the colours are inversed (Odd with the yellow stripe and Ulrich with the purple one). - In the English dub, Sissi's line about trusting Ulrich and not Yumi is cut off at the beginning, making it sound like she's saying both she and Ulrich don't usually trust Yumi, which certainly isn't correct. - Only time William impales his sword in a tower! - The comic Ulrich is reading is the same one Jim reads in episode 5 “Big Bug”. - The pencak silat classes taught by Jim are similar to the class in the first part of the prequel. - Yumi makes allusions to numerous episodes: XANA Awakens Part 2, 25 “Code Earth”, 29 “Exploration”, 33 “Final Mix”, 56 “False Lead”, and 68 “Opening Act” when Jim was at the factory. - The first scene of the episode (the gang traveling across the network) was shown to fans at the season 4 advance screening in Paris on the 5th of July 2007. - Reappearance of the robot programmed by Jeremy for the robot competition in episode 20 “The Robots”: Kiwi 2! 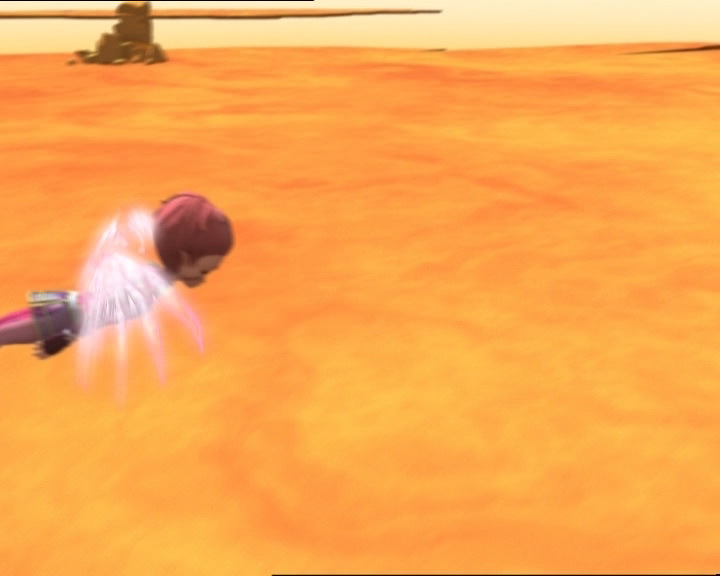 Aelita alludes to episode 82 “Distant Memory” when William threw her into the Digital Sea and Franz saved her by leaving the network. - The character on the front of the comic Ulrich is reading strongly resembles Batman. Batman is a well-known comic book character published by DC who, after his parents' death, decides to become a vigilante hero despite not having any superpowers. He developed his own arsenal of various weapons and tools to help him fight crime. Reference to Odd's virtual appearance. Cat and mouse is a game of chase in which one person pretends to be the cat, who chases the mouse (the other person). Although in this case it's the cat who's being chased by the mouse. Odd (to William, who’s chasing Yumi): Hey, tall, dark and handsome! You’ll never get anywhere with her if you don’t back off a little. Take my advice, give her some room! (he gets William to chase him instead) Cat and mouse, huh? Jeremy: That’s another mission down the drain. Ulrich: I can’t even remember what we were trying to do. Odd: It’s such a simple procedure: we construct an intermediate digital sinusitis with intergalactic lyrical context, all multiplied by the virtual factors of the theorems of Thales and Pythagoras. Piece of cake! Yumi (noticing Odd): Hi everybody! Let me try and guess. No seconds in the lunchroom? Prank that backfired? Girl trouble? Aelita (angry, about Kiwi): And what about my stuff? Is it because I leave them around that Kiwi steals them? I spend my life digging through the campus grounds, Mr Riley thinks I’m a nutcase! Odd: Staying for hours in a computer lab may be fine for Jeremy, but not for my dog! Jim: Hello there! I’m glad to see many of you here at my pencak silat class. Pencak silat, as its name indicates, is a combat technique, which is half aesthetic, half self-defence, and half spirituality. Yes, well, uh…these three halves could save your life…especially if you ever parachute in the middle of the Burmese jungle at the height of the monsoon season. Sissi: And besides, I wanna learn pinching skillets too. Johnny: It’s called pencatch silar. Jim: Hey! Just what are you two doing in here? Milly: We wanna do a story on punchy muskrat. Jim: Deep breaths, Sissi! As my Burmese master said, “serenity is vital in order to stay calm”! Yumi: Hey, that’s Kiwi 2, I wonder what he’s doing here. Ulrich: If he let himself out to do his business then Jeremy must’ve upgraded the program. Jeremy: What are you talking about? I only built one Kiwi 2, and he’s just programmed to play basketball. Ulrich: Well don’t look now, but I think XANA’s trying to form a whole team. Odd (exasperated): Hey, don’t try to pin anything else on him! Jeremy: No, not…your Kiwi. It’s mine, Kiwi 2. Sissi: And I don’t usually trust Yumi, but since she has confidence in Ulrich, for today I’m gonna trust her, but just for today! Jim: And why shouldn’t I be the one who tries to get out through the air duct? Tell me that. Yumi: Because you’re too…uh…um…uh… Because you wouldn’t know where to go afterwards! Odd: Come out, XANA, and fight like a man!